In one of my assignemnts as a BW consultant, I got an opportunity to work for wholesale distribution company and I was assigned to work on few projects in chargeback module. When I started I was completely new to chargeback and did not had much documents available related to Chargeback in BW. So, In this Blog post I will mainly focus on explaining the Chargeback concepts in Distribution Industry and also share my experience working on Chargeback module for some Analytical Requirements in SAP BW. 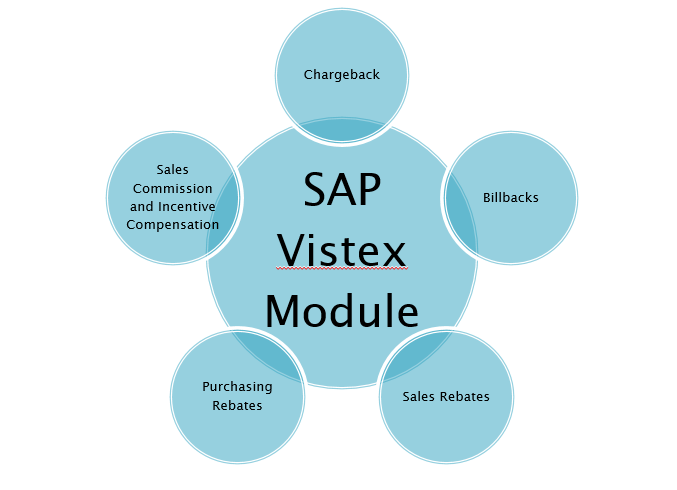 Vistex is a third-party tool developed by Vistex Inc. t is an embedded SAP Add-On; it is NOT an external application. In other words, it sits on top of ECC itself and which means there is no system interface development (ECC-Vistex). Consumer product manufacturers engage in contracts with distributors to offer special or discounted pricing to specific end customers or end customer groups (retailers, operators). This special pricing creates bigger market share, product recognition and customer loyalty for both the manufacturer and the distributer. 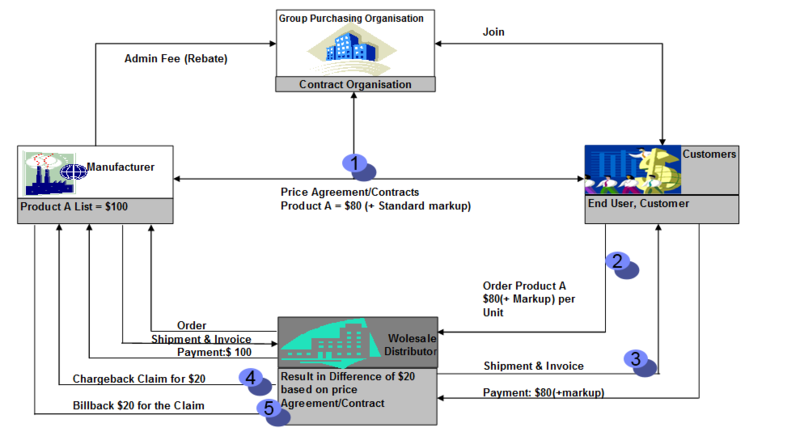 Above screenshot is the Chargeback process in a Healthcare distribution industry, where a group of customer form as a Group purchasing Organization(GPO) and makes a contract/agreement with the manufacturer at a discounted price. So the Product A was listed by the manufacturer for $100 and the GPO negotiated the price for $80 for Product A. Customer joins the GPO to get the product at a discounted price. Customer orders Product A to wholesale distributor for $80 price and the distributor order the product A to Manufacturer. Manufacturer delivers the product to Distributor and distributor pays $100 to the manufacturer. Product will be shipped to the customer and customer pays $80 to the Distributor. This resulted in a difference of $20 based on the price Agreement/Contract. For this difference amount, Distributor claims $20 back to the Manufacturer which is called as a Chargeback Claim. Then Vendor will pay back $20 to the distributor as a billback claim. This is a high level overview of Chargeback Process and we will discuss more Detail on how this process works in the system. The chargeback Process starts after the billing process in OTC, Vendor will share the Contract/Agreement Rule with the distributor. Based on these contract/Agreement Rules for the list of Invoices where the Acquisitions price is greater than the Contract Price, a Chargeback Document will be created. At this step the Chargeback Documents gets created in /IRM/IPCBHDR and/IRM/IPCBITM tables in ECC. When a manufacturer/Vendor responds to a distributor’s claim, the response must be recorded by the distributor to maintain an audit trail. The negotiation between the two parties is called partner communication. Vistex provides a method to record the partner’s response called a partner communication document. A new partner communication document is created for every new response or the original one can be appended. So Vendor responses(849) are captured into /IRM/IPPCHDR and /IRM/IPPCITM. Simultaneously an SI documents get posted based on the vendor response. Reconciliation is the process used to resolve a discrepancy between the claimed amount and the accepted amount. The accepted amount is recorded directly in the chargeback document or updated via the partner communication document. After reconciliation, Chargeback document can be either resubmitted back to the Vendor for any difference amount between claimed amount and accepted amount or it will be manually adjusted/coded by the Chargeback Analysts if there is any issue on the distributor side. Finally after reconciliation, the document will be settled. An SE document will get posted. Similar to general Account Receivables, in Chargeback also there are set of CB Analyst who are responsible for tracking the CB life cycle and followup or take necessary actions. Some of the activities are listed below. 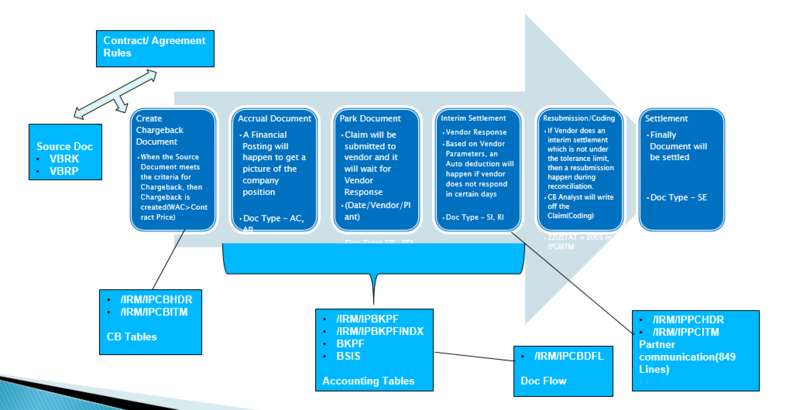 Below is an overview of the BW Objects we developed to scatter various requirements. We have below Standard Data sources available for Vistex, we have used Chargeback Header and Chargeback Item standard extractors in our project. Note – Our ECC Vistex system was on 60E Release. For Other requirements like, users want to see the Posting information like Accrual/Parked documents etc, for which we created a generic extractors on /IRM/IPBKPF and /IRM/IPBKPFINDX. We created various data models in BW like one DSO for Chargeback Item information, one DSO for Postings , one for Partner Communications etc. Then created Multi provider and Composite providers to support reporting requirements.